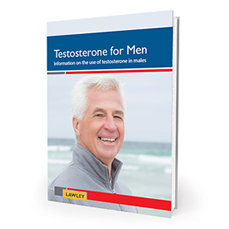 Our Aging Males Symptoms questionnaire will give you a good starting point to understanding your testosterone levels. For further information speak to your doctor or health centre. Or contact our online pharmacist today to find out information specific to AndroForte® 2% and AndroForte® 5% Testosterone Cream. Find our about the side effects and risks associated with testosterone replacement therapy on the next page.